For this waistband I tried something a bit different. Since I already had hair canvas out for the jacket, I cut a piece the width of the finished waistband and applied it to a strip of organza. That was then basted to the waistband. 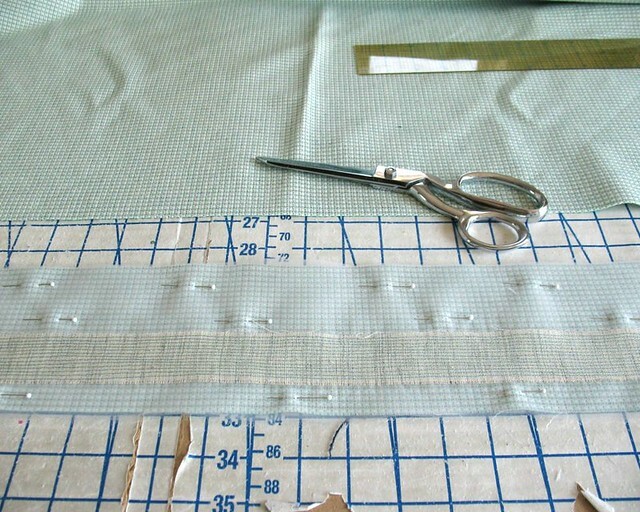 A set of permanent stitches keep the organza in place at the fold line. The inner edge was then pressed under. 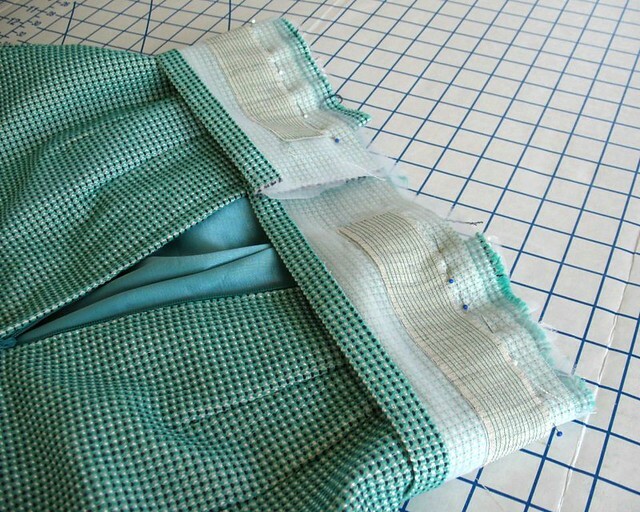 Next, the waistband was pinned to the skirt. And hand basted into place. 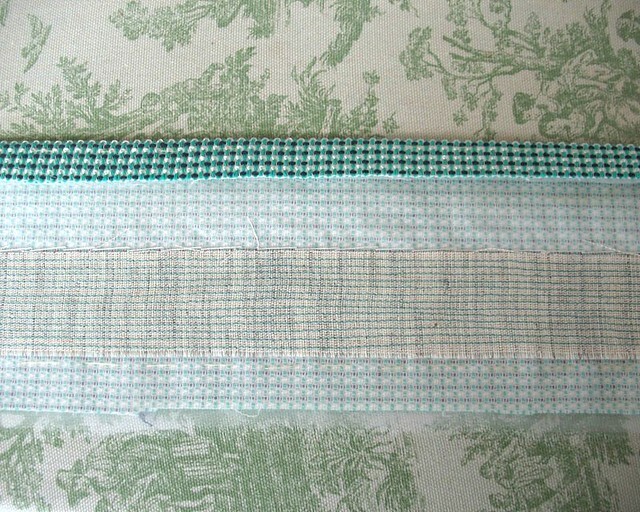 Two lengths of ribbon were stitched to both side seams. 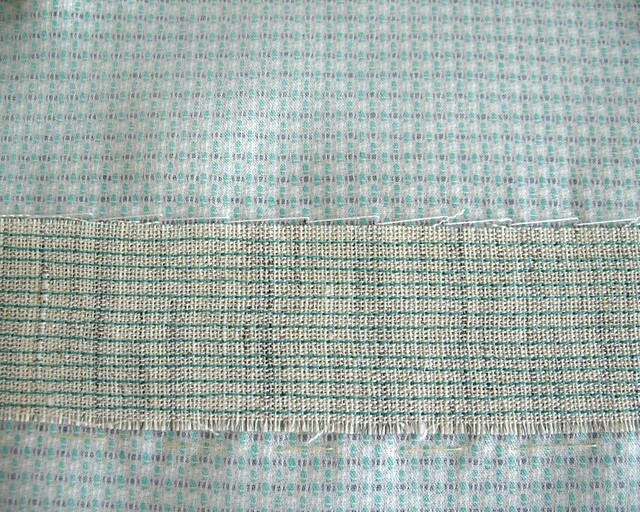 Then the only thing left was to fold and hand stitch the waistband in place. I am going to leave the hem alone until the jacket is finished and I can figure out proportions. But this piece is finished for now! 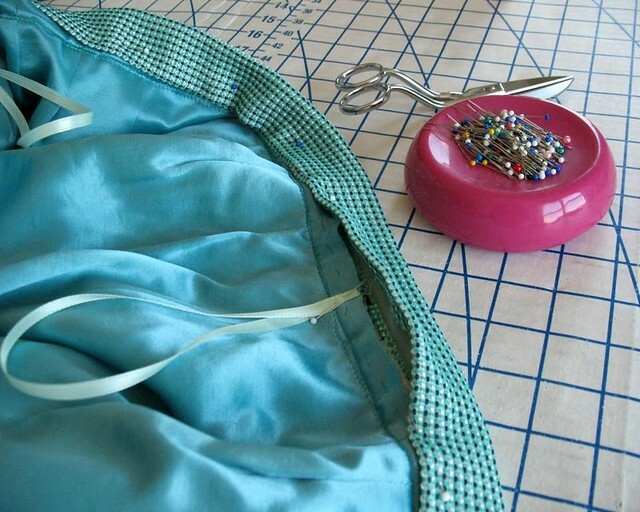 Great tutorial, love that fabric! Can't wait to see the entire ensemble! 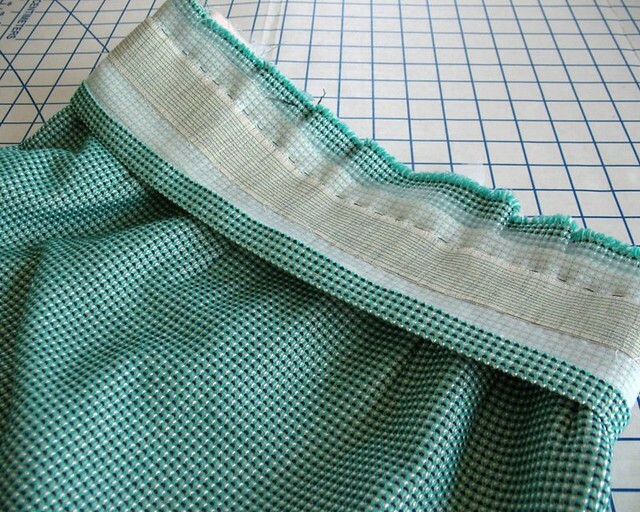 Waistband wonderment: you basted it on, folded it and hand stitched it in place. No machine stitching of the waistband at all?? 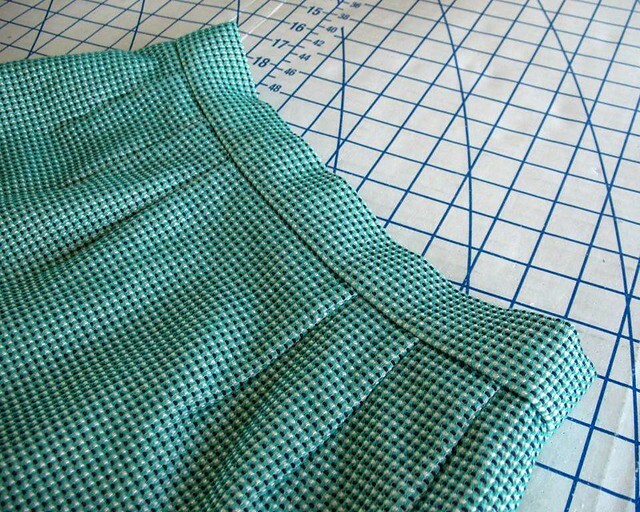 The seam connecting skirt to waistband was machine stitched after being basted in place - I forgot to get a picture of that step. The inside finishing is hand stitched, but the waist seam is definitely machine stitched for stability! I love how beautiful your fabric is. Where did you find it? This is one of my New York finds from last year's Male Pattern Boldness Day - from Paron Fabrics, I believe. Good idea. 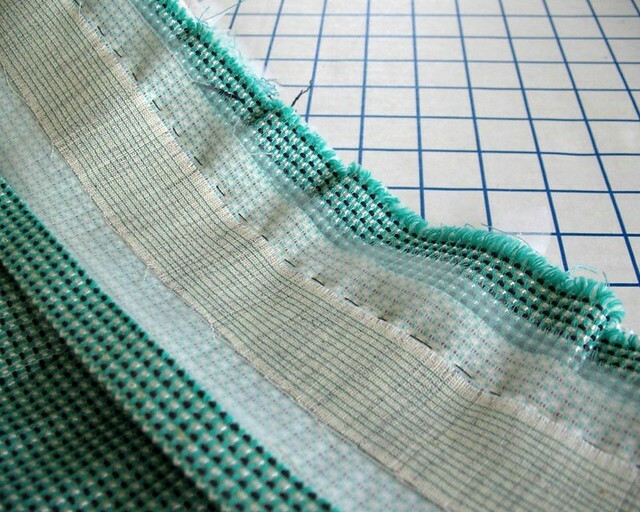 I often catch stitch interfacing to button bands and waistbands but did not think to interline the waistband so hand stitches are applied to the organza. 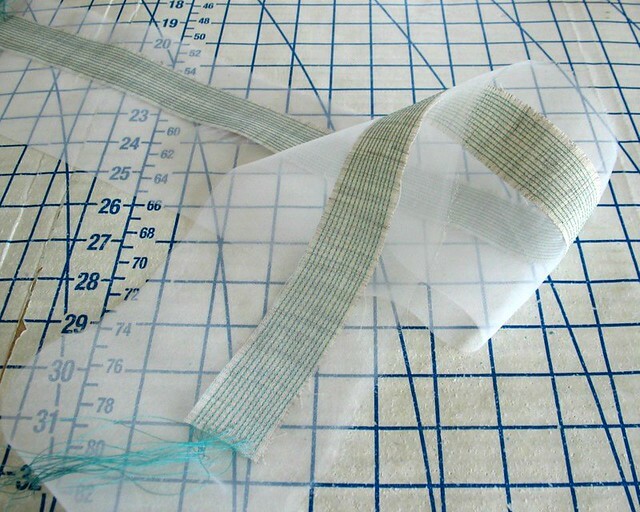 That is good to know when sewing lightweight fabrics. Silk organza is definitely a fabric I cannot live without! Your workmanship is impeccable. I look forward to seeing your creation. Love your fabric. Such inspiration, I'd love to be an observer in your work room.